In a small bowl, combine all ingredients, except the shrimp. 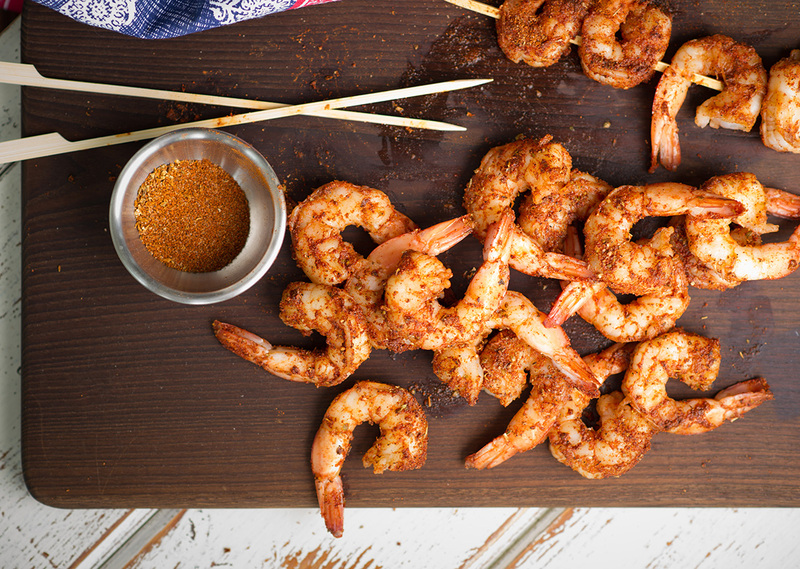 Place the shrimp in a zip top bag and sprinkle in 1 tablespoon of the Cajun seasoning mix. Reserve the rest of the seasoning for another time. Skewer 5 pieces of shrimp onto one skewer, repeating until the shrimp is gone. 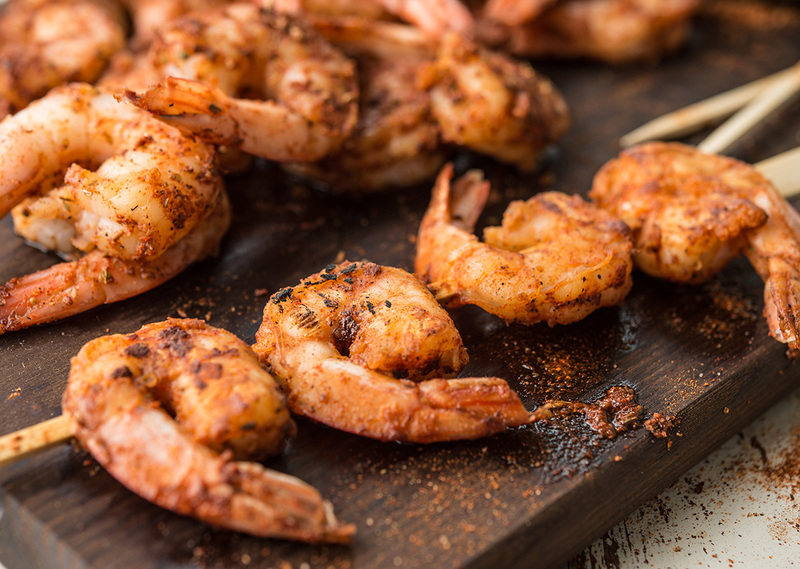 Place the shrimp skewers onto the preheated grill. Place the lid on the grill. Grill for2 minutes per side.